Designed for fall protection, the Abtech ABLTW1 is a shock absorbing twin lanyard which will minimise the force excreted on the user should a fall occur. The twin connections allow free movement without the risk of being unattached at any time. 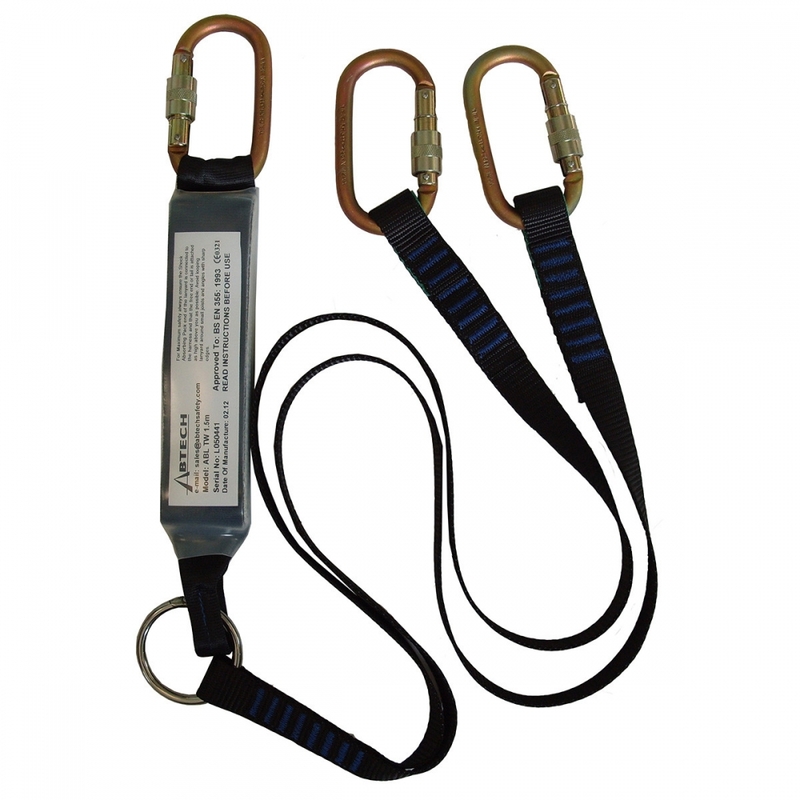 Abtech lanyards are supplied with karabiner connectors at each end as standard with other options available.